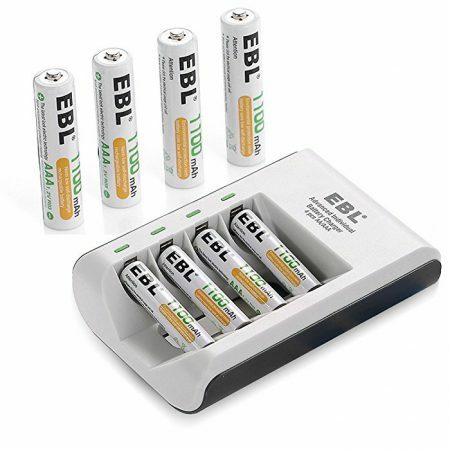 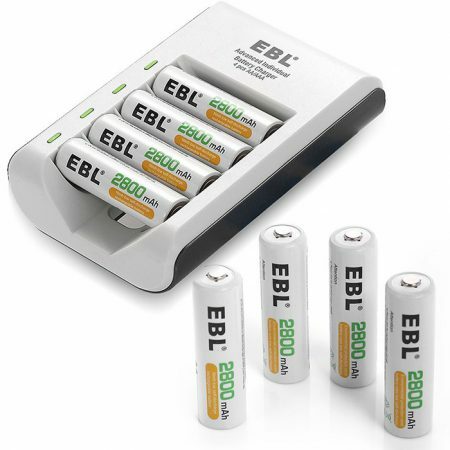 The EBL AA Ni-MH rechargeable batteries are particularly designed for high drain applications such as: R/C controller detector, emergency location transmitters and beacons, paintball guns, GPS, LED lighting devices and other portable high drain digital electronics. The batteries can be widely used for frequently-seen electronic devices. 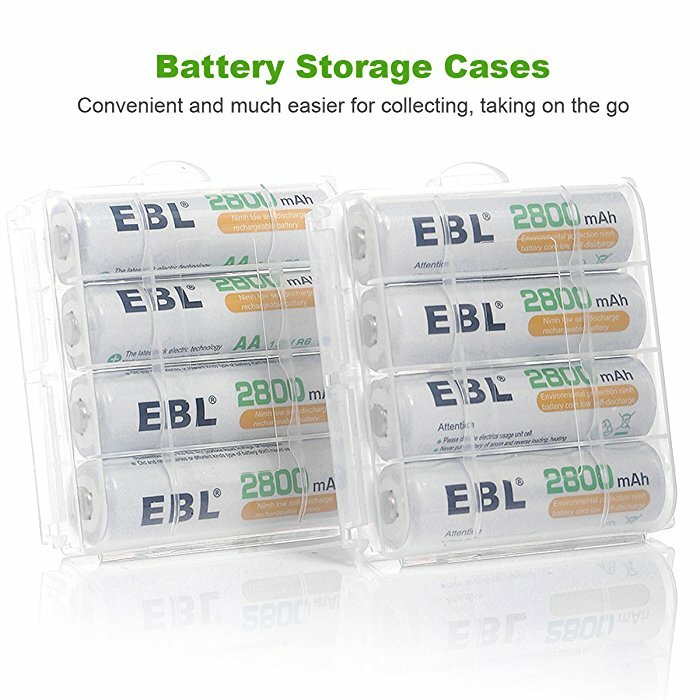 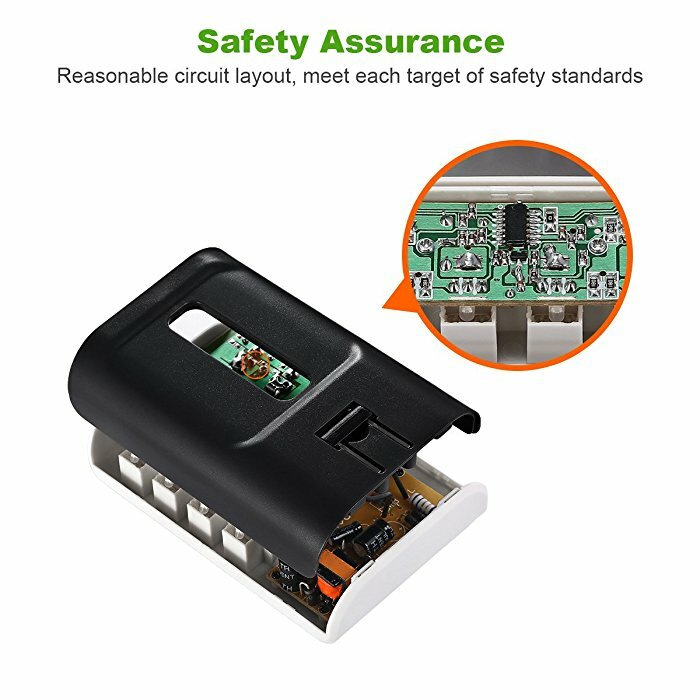 Certified by CE and ROHS, EBL brand batteries, such as AA Ni-MH rechargeable batteries, have trustworthy quality and good reputation. 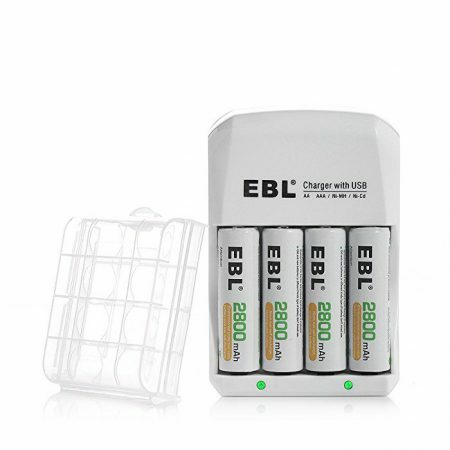 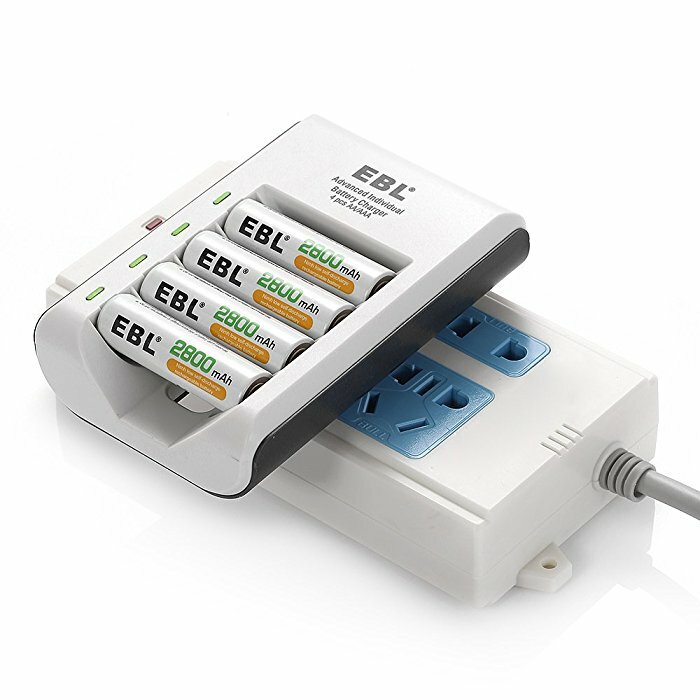 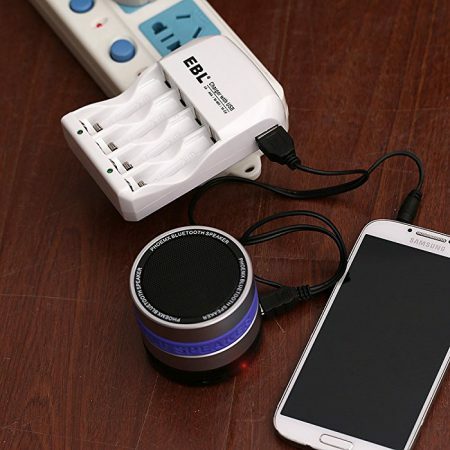 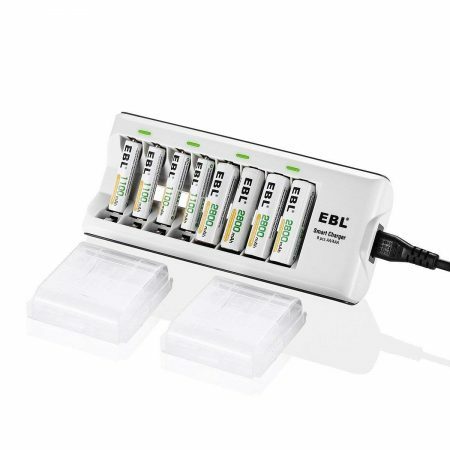 The EBL 807 battery charger is particularly designed to be portable and lightweight. 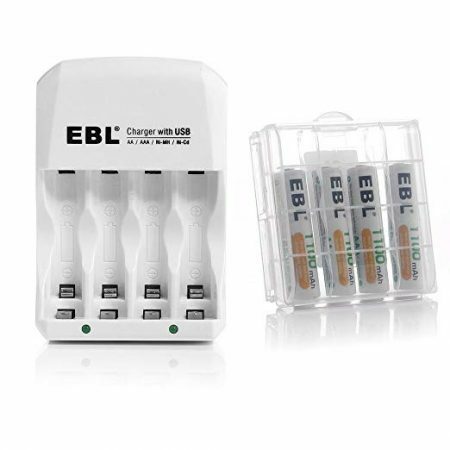 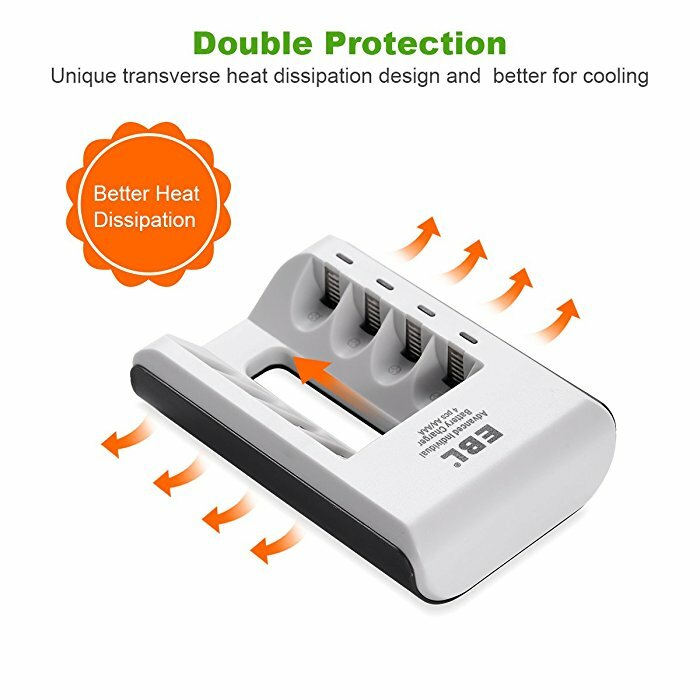 The charger is ideal for 1/2/3/4pcs AA/AAA Ni-MH/Ni-Cd batteries charging. 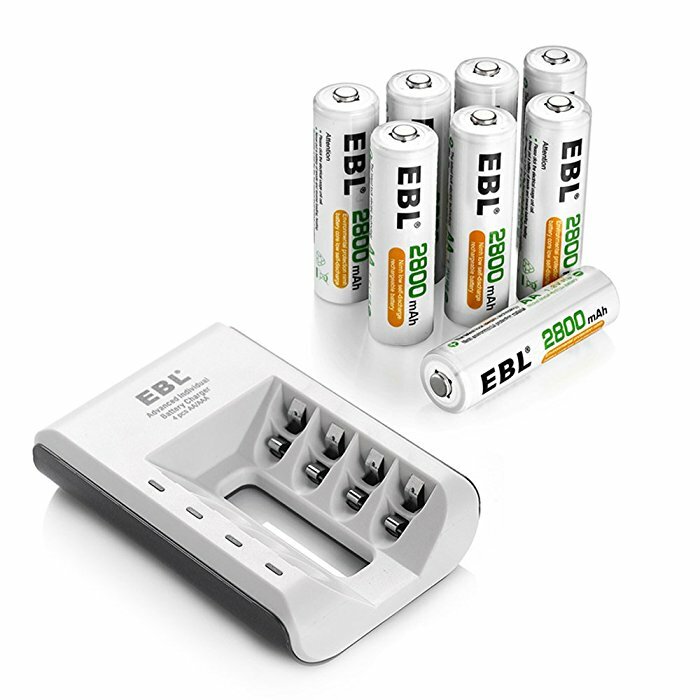 Plus, based on low constant current charging technology, smart LEDs will turn to LIGHT YELLOW from RED when the batteries are charged up to 80%, and then automatically switch to trickle charging for about 40 minutes, which can reach to 99.3% capacity.